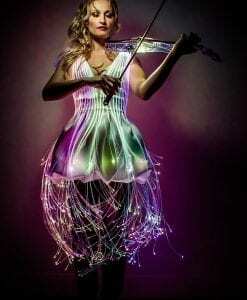 The Corporate Entertainment Agency has booked Electric String Groups across the globe for any type of occasion, they can perform with aerial or acrobatic performers to create an amazing WOW factor for events. We can also provide all the production services so you do not have to worry about the technical side of your event. 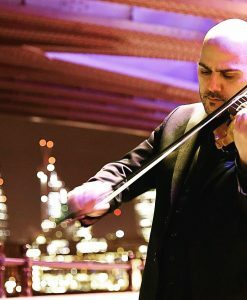 Our incredible Electric String performers offer a whole range of musical genres including classical, rock, pop and contemporary classical crossover. 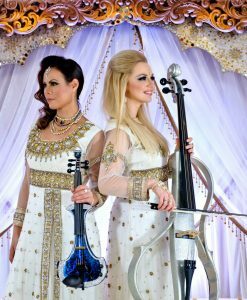 With a glamorous range of costumes and instruments to fit your event theme. 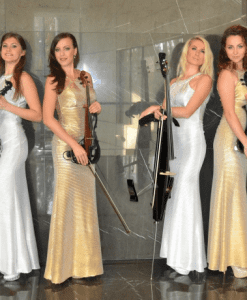 Electric String Acts add glamour and sophistication to any event and the Corporate Entertainment Agency provides the highest quality musicians for your corporate event, wedding, gala dinner, product launch, private party and public event. 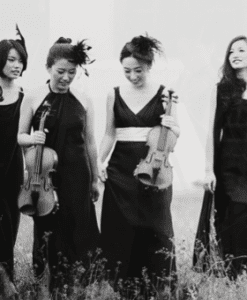 Our Electric String groups can also perform on traditional instruments for events requiring just background music. 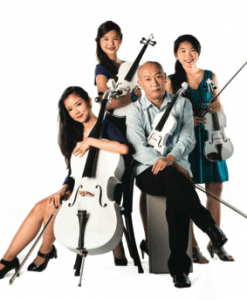 Electric String Quartets are the most popular line-up, although other options are available including solo, duo or trio or even larger if you prefer. 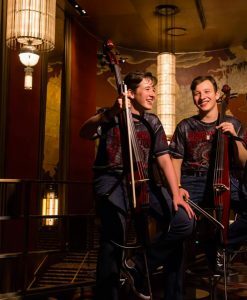 The Corporate Entertainment Agency can offer harpists, cellists, string duos, string trios, string quartets, banjo players and more that will be great for any type of event. 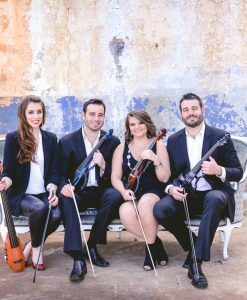 A string quartet is a perfect idea for wedding entertainment as the bride walks down the aisle or at the cocktail reception. 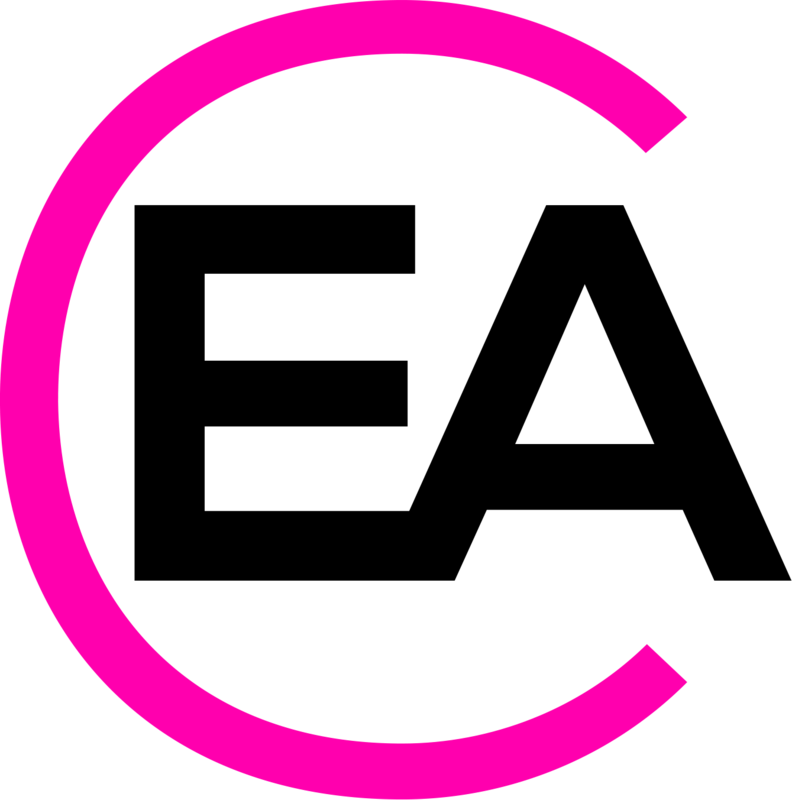 Contact the Corporate Entertainment Agency’s expert account managers for more information on our top Electric String Acts.